Tom Selleck. Wilford Brimley. Cap’n Crunch. Brady Smith. Hitler. Albert Einstein.What do these men have in common? Mustaches have become some what of a pop culture fad. Like the mullet, people are sporting mustaches for party photo opps and even hosting mustache-themed parties (great 30th b-day idea?!). While I’ve been seeing a number of mustache-related pictures, one was finally worth writing about – the chocolate mustache on a stick. I spotted this gem on one of my favorite blogs – Hostess with the Mostess. 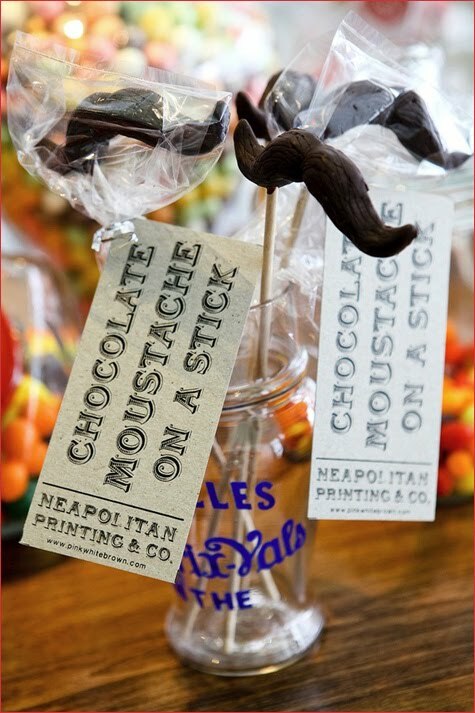 So if you are thinking about hosting a stach bash, consider serving the chocolate mustache on a stick or giving it to your guests as a favor!